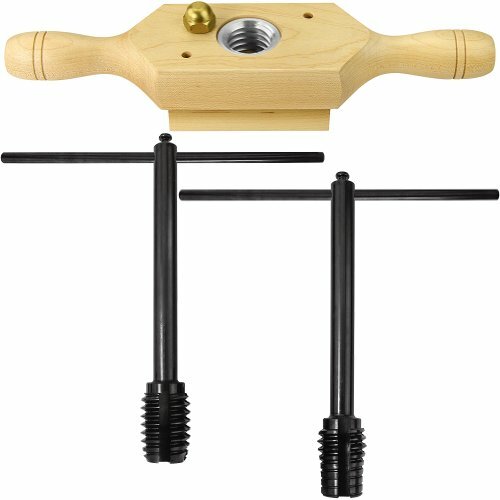 Simplifies making accurate internal and external wood threads. Simplifies making accurate internal and external wood threads. Easily Make Internal and External Wood Threads with Woodtek® 1″ Thread Box Kit. Works great for making clamps, RTA furniture, bed posts, toys and other projects. Cuts 6 threads per inch. Includes 1″ Maple Thread Box, 1″ taper and straight bottom hardened steel taps with cross bar for easier turning Imported.